Having a patio in the home adds value to the property and promotes outdoor living. The area is a great spot for families and friends to enjoy barbecues and fun conversation notably during summertime. But along with this comes great responsibility particularly in the maintenance aspect. Any patio requires tender loving care moving forward to ensure that it stays in good condition regardless of the weather. Keeping organized at home can help your life stay focused and balance your production levels at both work and home. Finding yourself a good routine will help to lower stress and anxiety levels. There are many ways you can keep the key areas in your life organized. Here are a few helpful tips. Maintaining a daily planner, either in notebook or note board form can assist your day to day time management. If you are keeping a notebook or paper diary, noting down appointments, reminders and tasks that need to be completed on certain days will help you to stay on track. A note board on the wall is great for organizing the family. Keeping it in an area, such as the kitchen where everyone frequently goes in and out is a good way to remind each other of things, such as birthday events or other celebrations. Creating a to do list is an easy yet fun way of managing your daily tasks. Whether its for grocery shopping, cleaning, washing or travel, it helps keep your tasks prioritized and makes sure you dont forget things you need to do. 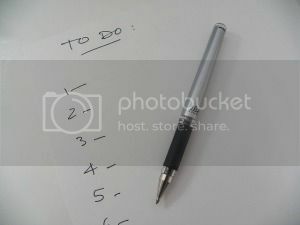 Its handy to keep a memo pad and pen around the house, so you always have something to create your to do lists on. Keeping your financial records apart from other documents and in a safe place makes it easier to retrieve those documents when needed. Its a good idea to makes regular notes on your incomings, outgoings and savings. If you are keeping paper records or printing records out, its handy to have a folder to put them in so your files are kept together. Having a schedule, such as a cleaning rota is a great way to keep on top of household chores. It can often be frustrating when it comes to keeping a home clean and tidy but having a document where you can assign tasks to family members helps to keep a household organized. You can easily create documents, such as this in Microsoft Excel and print them out for family members to keep or display them around the house. Setting aside a day every month or so to sort through your belongings is another way to keep your house clean and tidy. Sort through clothes, books, toys and other items. Throw away very old and useless things and create a pile for charity, recycling or selling. You can make it fun for young family members by turning tasks into games. Perhaps create a sorting game, where you organise things into piles and reward children with stickers or candy. As you can see, doing a few daily actions and making time for planning will really help to keep your life and home organized. Adding these methods to your daily or weekly routine will help maintain a happy household. Whichever solution works for you may come with trial and error but finding a good routine will make life much easier for you and your family. Practically everyone thinks that 50 percent of marriages in the United States end up in divorce, and while that may be somewhat true, it is not entirely accurate. Still, divorce is definitely NOT an uncommon thing, and not only in the United States. In other countries where divorce – or some form of it – is legal, more couples are facing the sad reality that is divorce. If you are still not 100 percent sure about getting a divorce, there is absolutely no reason to rush it! There�might be other options, and you�might actually be worse off if you go down that road. So here are some financially helpful things that you really need to ponder on if you’re thinking about getting a divorce. Be informed. Consult the pros. 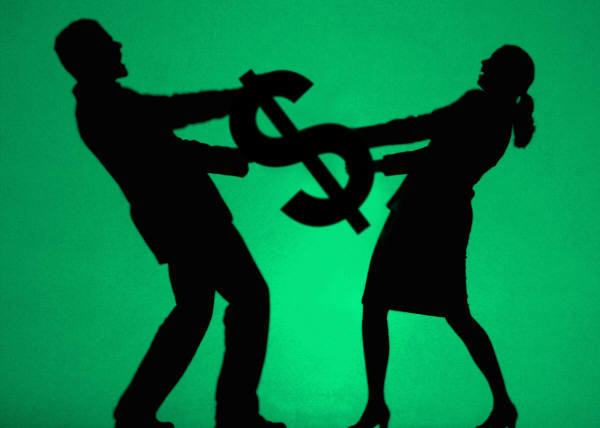 Let’s get this out of the way – at the end of the day, the decision to get a divorce will be affected by so many factors that finances may not matter anymore. Whatever the reason may be, however, being informed and having professionals guide you is the best route to take. Don’t just take on any lawyer, but make sure that the firm/lawyer is specialised in family and/or divorce law.�In the Milwaukee area,�Campo Blumenfeld LLP Attorneys at Law�is a prime choice. Create a balance sheet of your current finances as a couple. Whether you’ve been living as husband and wife for a year or for a decade, you will have to face the fact that a divorce will affect your income. Before you can look at the financial future, though, assess your current finances. More than your joint income, pay particular attention to all your liabilities and assets as a married couple. Then, label each liability and asset according to whether it is joint or individual. Once you’re done with this, you can easily assess if you’re going to come out of a divorce financially okay. Peruse your joint IRS tax returns. Preferrably, take a look at the last 3-4 years. This will give you a better idea about your finances, as well as things such as pension/retirement accounts. Create your future budget. Pretend you’re actually divorced and living on your own (or perhaps with the kids). List down all your potential income and expenses, and create a budget out of this information. This will help you see into the future and perhaps help you decide if you can hack it yourself financially. Whether you decide to get a divorce or not, at the very least, you have a better grasp of the state of finances, right?